Ireland’s second highest selling new car in 2018 the Nissan Qashqai was first introduced in 2007. The Qashqai is said to have started the trend for small family SUVs, a segment that is today crowded with options. 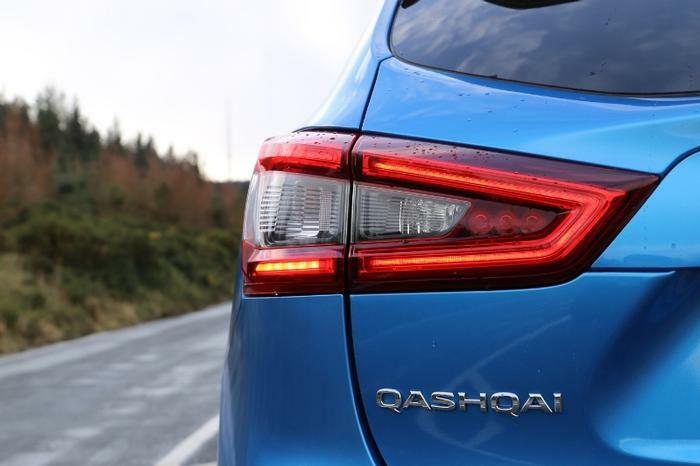 Despite stiff competition from the likes of the Kia Sportage, Toyota CH-R and Peugeot 3008 to name a few, the newly updated Qashqai still leads the way for small SUVs. 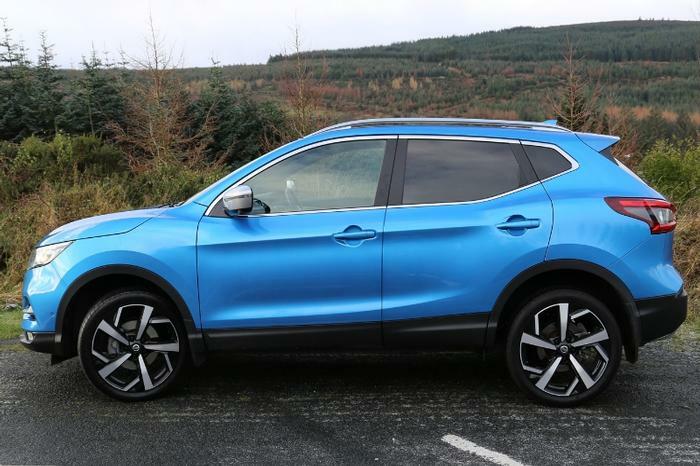 In 2014 the Qashqai received a much-needed update, and in 2017 the popular family car was given another refresh which included more dramatic exterior styling and a new steering wheel. Now in 2019, the Qashqai has been updated again, this time under the bonnet, with a range of new engines. 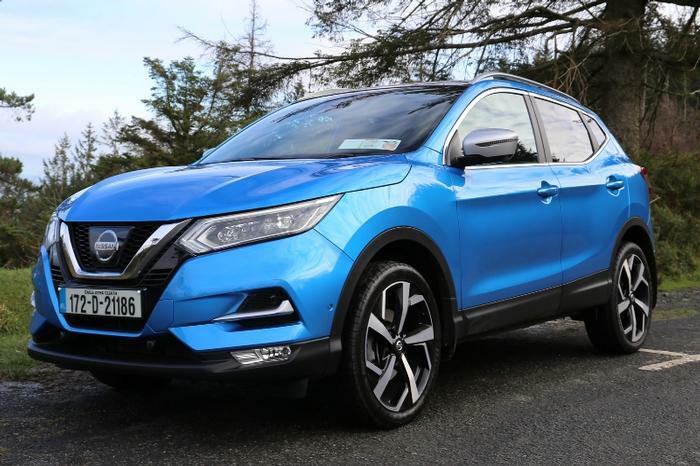 We spent time driving the new Nissan Qashqai on Irish roads to see what its like and how it compares to its ever-growing competition. The 2017 update saw the Qashqai gain a more distinctive look, particularly at the front where a new V-shaped grille and reshaped LED headlights enhance its sportiness. Further updates see the addition of newly styled 19-inch alloy wheels as well as silver finish mirror caps and roof rails which are available on the Qashqai SVE model. 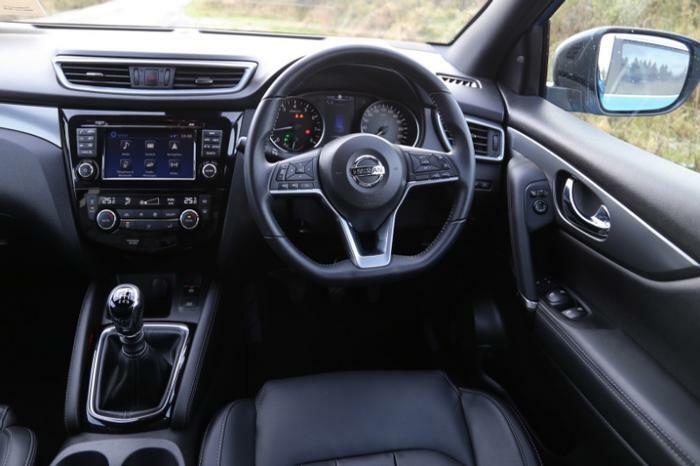 Inside, the cabin feels more luxurious than the previous 2014 Qashqai , with better quality leathers used on the doors and dash as well as comfortable 3D quilted seats. The most noticeable update is the newly designed D-shaped multifunction steering wheel. The interior overall is extremely practical with cupholders front and rear, comfortable armrests, USB and AUX ports. Whilst the 2017 update focused mostly on styling and comfort, the infotainment system remained the same as the previous 2014 model, which in 2018 feels a bit dated. Thankfully Nissan addressed this in 2019 with the latest refresh focusing mainly on in-car technology. Whilst the new infotainment system looks the same from the outside, it now includes Android Auto and Apple Carplay as well as voice recognition audio capabilities. 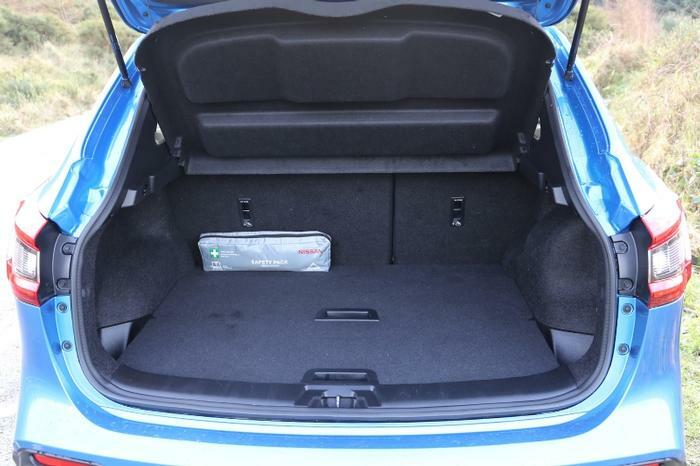 Boot space in the Qashqai is 430-litres, which is quite spacious for what can be considered a small SUV. There are also two cubby holes behind the taillights which can be used as extra storage for smaller items. In the rear, there is a considerable amount of legroom for passengers and it would easily accommodate three kids with room to spare. With updates to the front and rear suspension, the Qashqai offers a smooth, comfortable ride even over bumpy roads for both front and rear passengers with minimal cabin noise. There are hints of agility in the handling which is surprising for a crossover of this size. The new D-shaped steering wheel, which is not for everyone's taste, does assist for performing three-point turns and parking along with the reasonable steering power. Prices start from €26,370 for 1.2 Petrol models, €27,570 for the 1.3 Petrol and the 1.5 Diesel starting at €28,370. The standard Qashqai XE model includes LED day time running lights, multi-function steering wheel and electric parking brake with hill start assist. SV models include Nissan Connect Touchscreen infotainment system with a rearview camera, automatic headlights and wipers, new front fog lights and new 17-inch alloy wheels. The SV Premium model now includes Nissan safety pack with traffic sign recognition, lane departure warning, emergency braking and more. It also includes newly designed 18- inch alloy wheels. The most luxurious SVE model includes Bi-LED headlamps, black NAPPA premium leather seats, driver assist pack, silver roof rails and mirror caps and 19-inch alloy wheels. There is no surprise why the Nissan Qashqai remains one of Ireland’s best-selling cars. It is a practical, efficient and comfortable family crossover. The 2017 facelift improved styling and comfort without drastically changing the car we have all come to know and love. 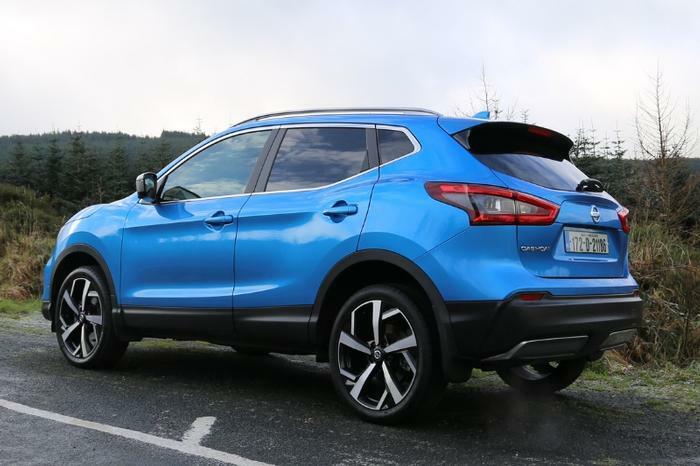 In 2019 the Qashqai gained new engines as well as an update to the infotainment system. These changes have succeeded in keeping the Qashqai up to date to compete with its rivals in its ever-growing segment.